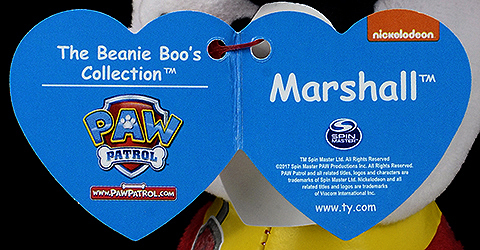 Licensed - Spin Mastger Ltd.
Marshall is one of the characters in the Nickelodeon television series "Paw Patrol." 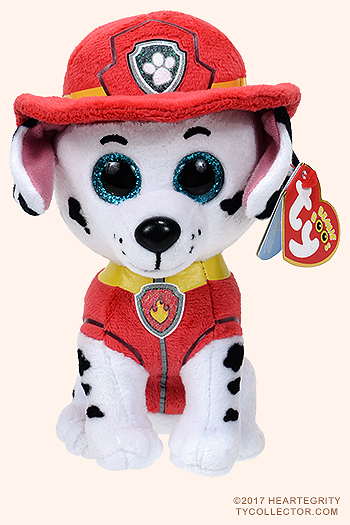 Paw Patrol is a Spin Master Entertainment production for TVOKids and Nickelodeon. As of January 2017, four seasons of the Paw Patrol series had been produced, with the fifth and sixth seasons in development. 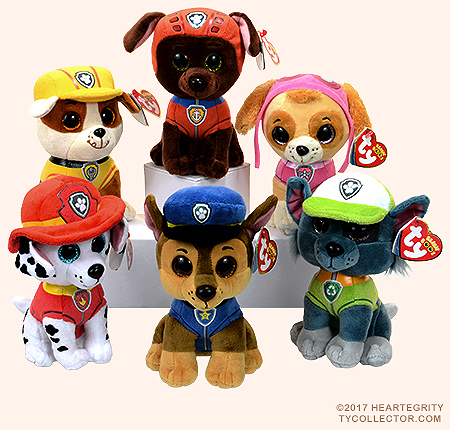 In 2017, Ty released six of the Paw Patrol characters.